As a judge, I am confronted with the tragedy that results when low-income people are denied equal access to justice. 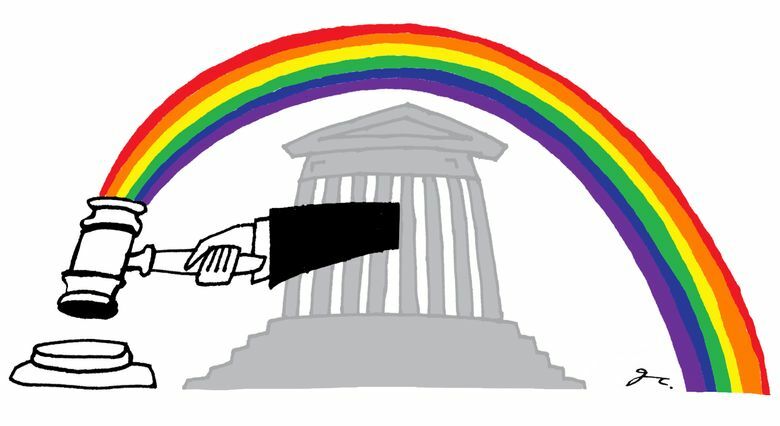 POVERTY is a LGBTQ issue, and civil legal aid can help solve it. A recent study documenting the civil legal needs of LGBTQ Washingtonians conservatively estimates that there are more than 52,000 lesbian, gay, bisexual, transgender, queer or questioning people in our state living at or below 125 percent of the federal poverty level. Despite stereotypes that LGBTQ people are financially privileged, these Americans are more likely to be poor than their non-LGBTQ counterparts. Studies from Washington state, Baltimore, and New York all confirm that LGBTQ people face many of the same struggles as others living in poverty. However, the combination of being both poor and LGBTQ creates a unique set of challenges, limiting their ability to escape poverty. For example, all three of these studies found that LGBTQ people experience disproportionately high rates of discrimination in the areas of housing, employment and health care. Rates of discrimination in the LGBTQ community are markedly higher for transgender people and for LGBTQ people of color. In sum, many low-income LGBTQ people are simultaneously experiencing racism, homophobia and/or transphobia while also combating the struggles of poverty. This is unacceptable. America was founded on the principal of justice for all, and the courthouse is an essential forum for protecting justice and fundamental human rights. However, accessing the court system can be nearly impossible without an attorney. In civil cases, there is no legal right to a lawyer if you can’t afford one. 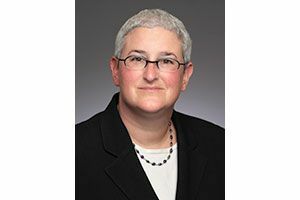 Johanna Bender is a King County Superior Court judge and a member of the Legal Foundation of Washington’s board of trustees. As a judge, I am confronted with the tragedy that results when low-income people are denied equal access to justice. When civil legal problems compound and fester, escape from poverty can be hopeless. There is a solution: Civil legal aid provides access to free legal help for many people in poverty, helping to protect their livelihoods, health and families. Legal-aid attorneys can help LGBTQ people access legal remedies and take steps toward economic self-sufficiency. In fact, the Washington study found that when LGBTQ people get legal assistance, they are able to solve some portion of their legal problems approximately two-thirds of the time. Unfortunately, of the 73 percent of low-income LGBTQ Washingtonians who experience at least one civil legal problem each year, less than one-third are able to secure any legal assistance. Investing in legal aid can be the difference between housing and homelessness, employment and joblessness, self-sufficiency and poverty. There are other barriers to equal access to justice for the LGBTQ community. Fear can render members of the community silent and closeted. In 2013, 72 percent of the homicides against the LGBTQ and HIV-affected communities were perpetrated against transgender women — the majority of those attacks were against women of color. Another study found that 17 percent of LGBTQ youths reported having been physically attacked multiple times. After years of discrimination, the community has an understandable lack of confidence in the judicial system’s ability to protect their rights. Finally, some members of the LGBTQ community are simply so marginalized as to be rendered invisible: As many as 40 percent of all homeless youths nationally are LGBTQ. Improved access to the civil justice system requires a multipronged strategy. Legal-aid providers, judges and court staff must strive to make the justice system open to and trusted by the communities we serve. This will be of limited utility, however, if funding for legal services remains inadequate. Currently, the state invests approximately $25 million per biennium for civil legal aid. At this level of funding, fewer than 25 percent of those who need services are able to access legal help. State funding for legal aid has been relatively stagnant since 2009, but since 2003, the average number of civil legal problems per low-income household has nearly tripled. During the upcoming legislative session, the Equal Justice Coalition, which is a statewide group of civil legal-aid advocates, will be asking the Legislature to increase funding for legal aid by roughly $13 million. Research shows that legal assistance helps solve people’s problems fairly and helps courts operate more efficiently. It is the state’s responsibility to ensure the American promise of justice for all, not just for those who can afford it. Washington has an opportunity to lead the nation in addressing poverty for the LGBTQ community, and for the community at large. To do so, we must prioritize and invest in civil legal aid in the upcoming legislative session.